The NFL controls the distribution of Super Bowl tickets. Super Bowl teams LA Rams & New England Patriots share 35% – 17.5% each, majority given to season ticket holders & players. Host team Atlanta Falcons gets 6.2% – majority distributed to season ticket holders. Remaining 28 teams share 33.6% – 1.2% for each team distributed to players, media, partners etc. NFL retains 25.2% – tickets are typically sold to partners, media and sponsors. However, the NFL changed the allocation of Super Bowl tickets in 2017 and that will carry over into 2019. In 2017, they announced that they are going to allocate 6,000 tickets away from the teams playing in the Super Bowl to the NFL On Location Experience company. NFL On Location is a fancy name for a concierge service which will be selling Super Bowl packages for above face value (and potentially above market value as well). VIPTIX offers similar Super Bowl packages at far more reasonable prices. This is VIPTIX.com 26th year. We will have an on-site Super Bowl office in Atlanta all during Super Bowl week. How will Super Bowl Tickets Be Distributed? View HOW ARE SUPER BOWL TICKETS DISTRIBUTED? 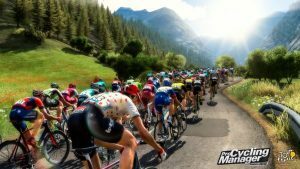 Major Sports Events in 2018- Any Of These Your Bucket List? May 19: Preakness, post time 6:48 p.m., Pimlico Race Course, Baltimore, Md. ; Justify seeks to win second leg of Triple Crown. May 27-June 10:French Open, Roland Garros, Paris; Rafa Nadal’s playground. He goes for an 11th title. To play the French Open or not? Selena Williams has a big decision to make. Played on the infamous clay courts of Roland Garos. May 27: Indy 500, 12:20 p.m., Indianapolis Speedway; Patrick says she’ll race here, too, before her full retirement. End of May: Stanley Cup Finals begin; April 11: first day of NHL playoffs; Forget those regular-season standings. Hockey begins now. End of May until as late as June 17: NBA Finals; Golden State was the prohibitive favorite going into the season. Now the Warriors are just one of six teams with a good shot. June 9: Belmont Stakes, post time shortly after 6:30 p.m., Elmont, N.Y.; If a Triple Crown is at stake, this is tremendously fun. If not, it’s still a party! June 14-17: U.S. Open (golf), Shinnecock Hills Golf Club, Southampton, N.Y.; This is where Phil Mickelson blew the Open in 2004. Welcome back! June 14-July 15: FIFA World Cup Soccer, various venues in Russia; This year is different. The Americans and Italy did not qualify for the world’s soccer tournament. The beautiful game now leads the pack among youth sports participants now in the US. July 2-15: Wimbledon, All-England Club; The ageless Roger Federer, the defending champ,goes for a ninth Wimbledon title. Only major still played on grass. July 7-29: Tour de France, throughout France, ending in Paris; This year will mark the 105th edition. July 17: MLB All-Star Game, first pitch sometime after 7:30 p.m., Nationals Park, Washington, D.C.; The Home Run Derby, the day before. It’s a weekend extravaganza celebrating basketball not just a one day event. Aug. 9-12: PGA Championship, Bellerive Country Club, Town and Country, Missouri (a St. Louis suburb); Been 26 years since this course hosted its last major. Nick Price won the PGA title in 1992. 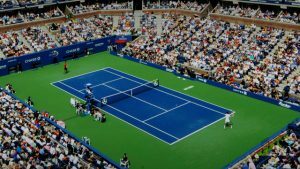 Aug. 27-Sept. 9: U.S. Open (tennis), National Tennis Center, Flushing Meadows, NY; Most attended US sporting event. Polo and Mercedes regular sponsors of this prestigious event. Playing surface are the famous blue colored courts. Late September: WNBA Finals; Would help if it weren’t Minneapolis-Los Angeles for a third time in a row. Mid-October: NWSL final; Women’s soccer showcase. 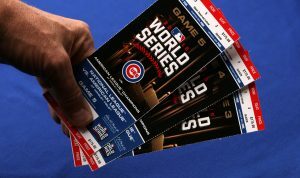 End of October: World Series; Astros? Dodgers? Cubs? Red Sox? Indians? Yankees look good this year! Early December: MLS Cup final; Toronto is a very cold place in December, but get used to it. Dec. 31: College football semifinals, Cotton Bowl (Dallas) and Orange Bowl (Miami Gardens); Historic college football venues. Major Sports Events in 2019 include NCAA College Football Championship, Super Bowl. Daytona 500, NCAA Basketball Tournament, NCAA Frozen Four, The Masters, Kentucky Derby and the FA Cup Final.